Confucius is reputed to have said that "music produces so much pleasure that humankind cannot survive without it." If that's true, then it mystifies me that the musical season in Toronto lasts only from September to June, with the summer months a veritable cultural desert. How are we to survive? (I am only half joking...) It used to be that to get one's fill, the only option was to get out of town, to the likes of Elora, Guelph, Parry Sound, and more recently to Haliburton, Campbellford or further afield to places like Lewiston, Chatauqua and Cooperstown stateside. DM: It’s amazing how quickly that time goes by, but then when you think back and realize how much has been accomplished in three years, it’s extraordinary. We have come a long way in a short time. LSM: Before we talk about this year's festival, I would like your thoughts on how things went last year. DM: We had some fabulous concerts. One of the highlights for me was the recital of Gerald Finley - what an artist! He's such an amazing recitalist. He has such an intimate sense of communication, yet he's communicating to a thousand people in the entire hall. It was at Koerner...I wished we had a thousand people in the hall (laughs)... It's very difficult to sell art song. LSM: Why is art song such a hard sell? DM: Oh yes, more than ever! I am totally convinced this is what young singers need in their training today. It is a unique contribution to the education of young singers in Toronto. There are other programs elsewhere nationally. What we don’t have enough are these art songs programs. For two weeks, young singers can get out of that opera world where they sing as loudly as they can at all times. 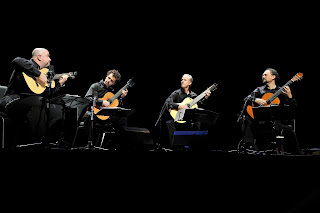 In Art of the Song, they discover moments of true connection with the sentiment of the poetry and communicating that to the audience. 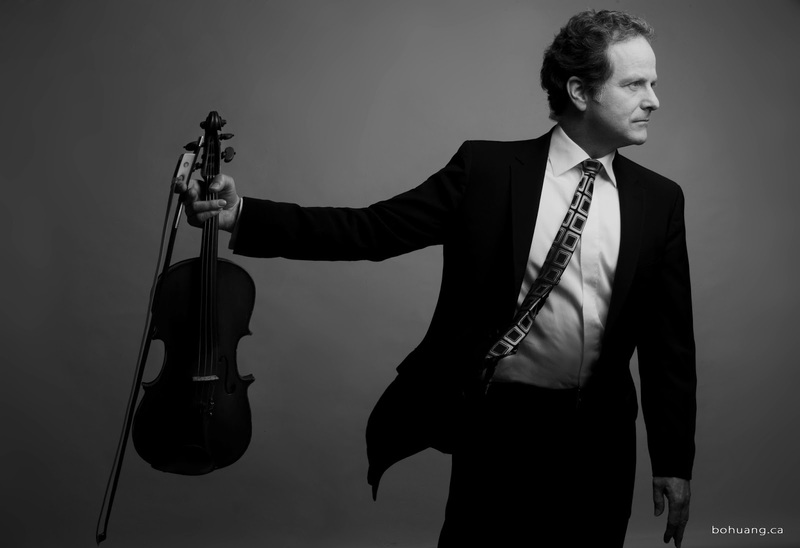 One of my highlights last year was the masterclass of Gerald Finley. He got the young singer to sing quietly....he said to them "that’s too loud, sing quieter… no, even quieter." He got them to sing so quietly that you can sense everyone in the hall was listening. The hall became so amazingly focused on the voice. Gerald said it’s at the lowest level where one is the most expressive. For me, the art song is about communication at an intimate level, where the truest and most sincere form of communication (takes place). It’s a lovely counterpart to chamber music - it has the same aesthetic as chamber. 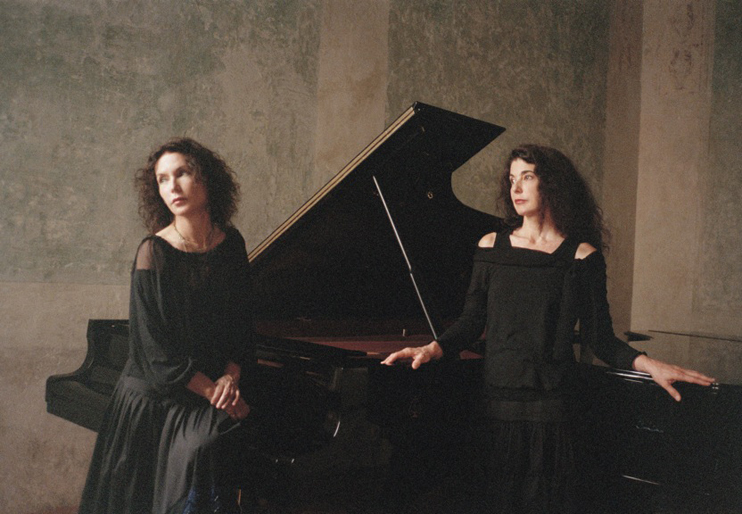 Playing in intimate circumstances, connections between friends, like between pianist and the singer. Between the four or five instrumentalists. Once you have established the intimate connection, then you can share with the audience. LSM: What else were you really pleased with last year? DM: There were many... we had the Nash Ensemble - wonderful! And the Seoul Spring Festival Ensemble, they gave an amazing performance of the Franck Quintet. Dong Suk Kang is a top Korean violinist. LSM: One of the ideas you introduced at TSMF is to have a "festival theme" each year. What is it this year? DM: This year the theme is La belle epoque, a fabulous moment in the history of western culture (from 1870 to the start of WWI). It was totally unique. Paris was the center in terms of education, science, culture - the entire world came to Paris. We are exploring the music of that period, one that marked the beginning of French music. Before that, there wasn't a lot of French Romantic music in the 1800's in France, it was all Germanic music. You would hear Mozart, Beethoven, Haydn, Schubert, Schumann. But beginning with Saint-Saens and Cesar Franck and the Societe Nationale de Musique in 1871, it established a French aesthetic. 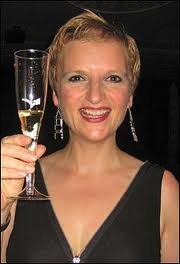 After that, with Faure, Debussy, Ravel, you have an effervescence of French music from late19th century on. That’s what we are looking at this year. DM: Yes, lots of French artists, including Labeque Sisters. They are doing this incredibly interesting project, very thoughtful, intelligent approach to a movement that has gotten a bad rap - musical minimalism. It's a sort of style of music people love to hate. In the first half of their program, they are exploring music of Satie, Philip Glass, Steve Reich, Arvo Part. In the second part they look at the influence of minimalism on popular genres, bring their band on stage and showing the influence of minimalism on the music of Radio Head and Sonic Youth. For the first time in TSMF, there'll be a rock band on stage! The Labeque Sisters are wonderful artists, glamorous of course, but also very sincere. I am impressed at how thoughtful their current project is. It’ll be fun to have the Festival go in a different direction by having a rock band on stage. LSM: Are you still doing audience outreach? DM: Yes, we are still doing the outreach concerts. The most interesting aspect this year is the series we are calling 'Shuffle' on Wednesdays to Fridays at 5 pm at Heliconian Hall. The idea came to me in an article by Alex Ross in the New York Times. He was talking about how the shuffle functions in an ipod has changed our way of listening to music. You get one movement of something and you get a mixture of genres. Of course it is not the way I listen to music, but I thought, there are people who do listen to music that way. DM: That’s right. I have no illusions; it's not necessarily the kind of series that our committed audience will go to. We are branching out and hope to reach another public and bring something interesting to them. Classical music, world music, jazz, one movement at a time, short, at the end of the day, not too challenging. The idea is to bring people in to listen to all kinds of music. I think this is a long term thing. Performing will be some of the festival artists, some young artists, and some invited guests coming in to do things. It will be very interesting. LSM: Can you say a few words about your opening night program? DM: Pasquier Pidou and Pennetier are heroes of mine. 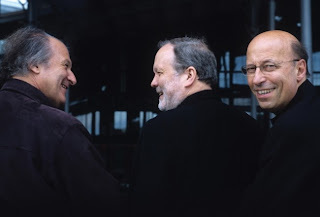 Three great French musicians; they have performed all over the world but never in Toronto as a trio. 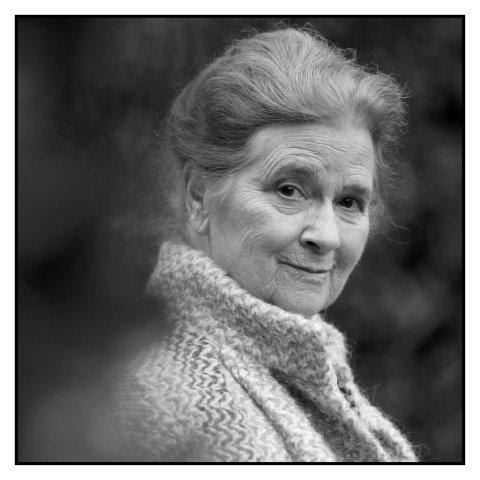 They are icons in France, their recordings and teachings. Just about every young musicians (violinists, pianists, cellists) has come through their classes. I thought since we’ve got a program centered on French music, we might as well go to the source and bring these three musicians to come and play Ravel and Faure Trios for us. They are also playing some Russian music, a really important thread in this years program – the Russian and French connection. Gryphon Trio is doing Debussy and the songs of Moussorgsky with Robert Pomakov, a transcription by Gary Kushesa. Debussy was influenced by Russian music and he had high esteem for Moussorgsky. We also have a nod to Nijinsky, Diaghilev and Stravinsky. (To celebrate) the 100th anniversary of the Rite of Spring we have Anagoson and Kinton in Stravinsky’s own transcription for piano four hands. LSM: What other concerts do you want to highlight? LSM: Of course guitar was not known as a concert instrument…. LSM: Are they going to be amplified? DM: I hope not. I told them they don’t have to, depending on the hall. In Koerner it should not be necessary. We’ll try out the acoustics. They are doing some transcriptions of Bizet, Stravinsky and other things as a nod to the Festival theme, and then they’ll branch out to do their own eclectic mix of Cuban-African-Brazilian repertoire. They are great musicians and entertainers. I hope this concert will bring in a larger public. This is our preoccupation, to grow our public, and bring in new people. We have established our credentials in chamber music, art song. Now we need to reach out to serve a larger public. The long term health of the festival depends on expanding. LSM: I haven’t asked you this, but I sort of got the sense that last year’s attendance was down…. LSM: Why is it so hard to get people to come to the concerts? DM: Everyone says everything has to be done now through social media; you reach people with Facebook and Twitter. But our audience? It's really interesting. At the Festival last year I got up at one concert and asked the audience - 'how many of you have a Facebook account?' Out of 600 or 700 people in the hall, maybe 80 to 100 hands went up. I then said how many had a Twitter account. Two people! This is our dilemma. The demographics of our audience aren't really into social media; their first choice of getting information is print media. DM: We did, but we need to get on it more. They have been very good to us but we need to do more. Growing the public is a challenge involving effective marketing. LSM: I recall that last year you were thinking of outreaching to the multicultural communities. Are you getting your Asian ethnic audiences? DM: No. Last year with the Seoul Spring Festival Ensemble, I thought doing a concert like this would bring in the (Korean) audience. It didn’t really had the effect I was hoping for. The Russian program, with the Borodin Quartet, didn’t reach the Russians either. We want to reach the people who are most susceptible to this kind of music. We have tickets for young people up to age 35. DM: Yes, a little bit more. We had a little bit of coverage last year but we need to do more. We've made a good connection last year we hope to follow up. LSM: Changing the subject - What is next year's theme going to be? DM: Well, it's Music of the Americas. It is one of the possibilities. In programming, you start with certain ideas, and the artists and the programs they want to present. Before you know it, sometimes things have become something else. This year it sort of naturally became French music, and next year we are starting with music of the Americas. Its time we move into the 20th century completely. LSM: The challenge for you would be to include some Canadian music, which is always a hard sell…. DM: Yes, and contemporary music in general. It's about marketing, finding the right angle, reassuring people that it would be interesting, that it won't be totally foreign and austere, and that it's worth the effort one puts into it. DM: My goodness no! We are so thrilled with the level of the students. When I revamped the academy, I had a 5 year plan. After two years we are already there. We have a reputation of our program that attract the best students. For the Art of the Song program, we have Elly Ameling coming; and Julius Drake. As young artists, to be able to work with someone like that for an entire week, what more can you ask for? This is a golden opportunity for the young singers, and they recognize that... the applications are from all over. I've spoken with Elly several times...she is so with it. She knows exactly what she wants from the students. It's going to be fantastic. LSM: Now you're into your third year, are you still as enthusiastic and energetic as you were when you first took this on? DM: I should ask you! What do you think? DM: (Laughs) It’s enormously interesting...all of this music is so fascinating. It's about ideas, about great music, and the people who do such an amazing job. No, I haven't lost the desire to share this interest of mine. Stratford Festival's Brilliant Fiddler on the Roof! Several weeks ago, in Texas, I found myself deeply moved and inspired by a fine Marc Chagall exhibition – Chagall: Beyond Color - at the Dallas Museum of Art. The show included numerous versions of the Green Violinist (1923-24), often fantastically perched on a roof of a Russian house. This experience proved to be excellent preparation for a fine new production of the musical Fiddler on the Roof at Stratford. 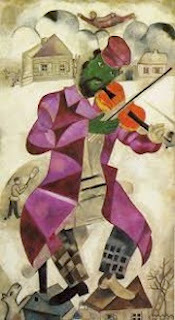 While the work is clearly based on stories by Sholem Aleichem, Chagall’s unforgettable image is also at the heart of this profoundly Jewish yet universal expression of human tragedy and comedy. Director Donna Feore adhered closely to the spirit and style of the original 1964 Jerome Robbins presentation in this production of Fiddler. She made no attempt to “make it different” simply to be different. It appeared to be enough for her to remain faithful to the original concept, and strive to be worthy of it. Indeed, there was an honesty about this production that was most endearing. It started with Scott Wentworth’s superb Tevye. Lesser artists risk giving us an impression instead of a real character. Scott Wentworth was the real thing. 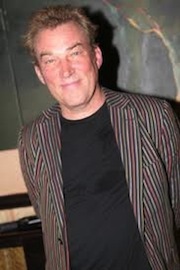 Rising deftly to the big moments, he also found a way to bring humanity to the one-liners. The others in the cast were also solid, offering us the high standard of dramatic and musical performance that we have come to expect at Stratford. The Russian choreography was brilliantly executed, with special kudos in order for the extraordinarily disciplined bottle dancers: Matt Alfano, Gabriel Antonacci, Stephen Cota and Julius Sermonia. Kate Hennig (photo: right) gave as good as she got as Tevye’s wife Golde; Andre Morin was a fine young enterprising tailor; and Mike Nadajewski captured the essence of Perchik’s revolutionary fervor. The dance sequences excited the audience time and again, but it was perhaps one particular scene - “The Dream” - that demonstrated the exceptional imagination animating this production. It was entertaining and it was magical in its use of masks and levitation. “Bravo” Allen Moyer (set design), Dana Osborne (costumes) and Michael Walton (lighting)! Composer Jerry Bock’s musical score was not particularly innovative, even in 1964, but he had a keen ear for both Russian and Ukrainian dance music and for klezmer music. Some might say that given the seriousness of the ideas dealt with in the libretto, the music comes across as too slick and too popular, but then this is music popularized for success on Broadway. 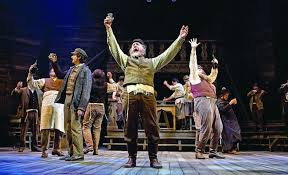 Some might also say that Bock’s music coupled with Tevye’s near Borscht Belt jokes undermines the reality of the suffering of Jewish peasants under the Czar; these Fiddler Jews make a joke about everything, and when all else fails a song and a dance keeps them happy. In the end, these happy go lucky Fiddler Jews are not wiped out; they simply move to America, and live happily ever after. And some might say that’s the point of the story – making the best use of what you’ve got. The essence of Fiddler on the Roof is tradition, and holding on to universal values in the face of change. Some of the changes portrayed in this production are technological – sewing machines increased efficiency in business, for example – a good thing. Other changes were life-threatening. Revolution was coming to Russia, but anti-semitism was embraced by the new regime as it had been by the old. Those Jews who had been able to emigrate only as far as Poland or Germany found to their horror that they had not gone nearly far enough. Tears and laughter endear us to Tevye and his family, but the fate of the Jewish people was under far more of a threat than Fiddler on the Roof would suggest. Even in a production as brilliant as this one, one strains to ignore the difference between the entertaining Broadway version of the Jewish condition in this era and the far more disturbing truth as revealed in history books. Rock Opera: Mega Multi-media Tommy Stratford's "Biggest Ever" Musical! A few weeks ago Maestro Mario Bernardi passed away. I couldn’t help but wonder what he would have thought about the current musical theatre offerings at the Stratford Festival. For several years back in the 1970s, Bernardi led memorable performances of Mozart’s operas in the Avon Theatre. It was a time when Shakespeare dominated the theatre festival and the musical offerings were equally classical. As the festival grew into the new century, management was forced to respond to changing trends, and the Mozart operas were replaced by Gilbert and Sullivan. This era too was impressive, with several productions filmed for posterity. Finally came the festival’s Broadway period, which continues full swing to this day, encompassing the likes of Jesus Christ Superstar and Tommy. Over its long and illustrious history, the Stratford Festival has refused to stand still, wisely moving with the times, all the while maintaining its high standards. Change has been part of its DNA. Some of those changes have been for the better; others, perhaps not. This year’s Tommy is a case in point. This is a show made for Broadway, but how good a fit is it for Stratford? Is rock opera the right direction for a festival that began as a celebration of Shakespeare and great classical music? Let me say from the outset that Des McAnuff (photo: right), Tommy’s director, made the best possible case for the inclusion of this show in the Stratford Festival. 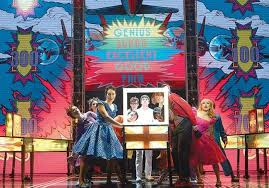 This was a spectacular production in terms of its multi-media effects, vivid costumes, world-class dancing and singing, and, if Pete Townshend’s music is to your taste, great playing out of the pit band and the state of the art sound system at the Avon. It was a truly impressive show by any standard. As Des McAnuff put it in the program notes: “We are able to do things visually and in sound that we could never have dreamed of before.” And he should know: it was McAnuff who directed the 1993 production of Tommy on Broadway. This same day I had attended a fine production of Fiddler on the Roof in the Festival Theatre – a pretty traditional musical, with a story line that made sense. The show is arguably a little lightweight for its subject matter, but it has at least some elements of thoughtfulness. I can’t say the same for Tommy. It’s important to remember that Tommy was originally a highly successful rock album by The Who. It was released as a 2-LP set in 1969 and sold more than 20 million copies. The Who played Tommy in concert and Ken Russell filmed it in 1975, but only in 1993 did it get a full-blown stage production. Clearly, the stage show Tommy grew out of the rock album. At the performance I attended, I noticed that many in the audience were probably of an age to have known Pete Townshend (photo: right) and The Who in their youth. I spoke later to some audience members who confirmed my impression. They had come to see the show because they had grown up with The Who, and in some cases had seen earlier productions of Tommy. It was really the music that drew them to Tommy. I must confess that I personally paid no attention to The Who in my youth or later; I was too busy idolizing Mozart. I do, however, like to think of myself as open-minded. Where there is music and literature, imaginative or entertaining, that has something important to say about the human condition, I want to know about it – classical or not. 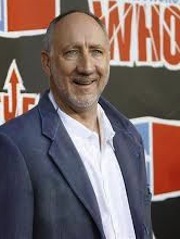 With respect to Tommy, I don’t find anything original or interesting about Peter Townshend’s music in itself. It is loud and exciting in small doses, but like so much rock music it succumbs to sameness. There is not enough variety, there is not enough subtlety and its limited range cannot begin to express a full range of emotion. How about the book, then? The book struck me as a series of sketches rather than a coherent narrative. Granted, many classical opera libretti have the same problem, but in most of those cases, we continue to perform them because the music has great value. In the case of Tommy, to my mind, we have neither a story nor music of exceptional quality. What we do have in this Stratford production, deserving of rave reviews, are sensational production values: sets, costumes, lighting, projections, film, sound, and a superb cast. This Tommy was a true ensemble effort with each singer and dancer contributing to the overall excellence of the show. And how do they do it? Many of the same performers who excelled as Russian dancers in Fiddler on the Roof in the Festival Theatre in the afternoon were back on stage at the Avon in the evening tossing off rock and jazz moves as if to the manner born. Can a Case be Made? If you like pop culture given the royal theatrical treatment, Tommy is the show for you. As for me, I suspect it may be time to consult the ghosts of Mario Bernardi and Glenn Gould – yes, Gould presided over some extraordinary concerts at Stratford in the early days – on how to convince the “powers that be” to program some “real” music at Stratford. “Back to the Future," anyone?